The new year has kicked off with a bang as city commissioners set the stage to help continue the potential development and growth of Plant City. City commissioners reappointed seven members to their corresponding boards and set up several public hearings for the meeting next Monday. G&D Farms, Inc. may soon have a warehouse or distribution facility on its nearly 65 acre property along South Wiggins Road at the Rice Road intersection. In last week’s commission meeting, commissioners voted to set up a public hearing on Jan. 28 to discuss initiating a map amendment for the land in question. 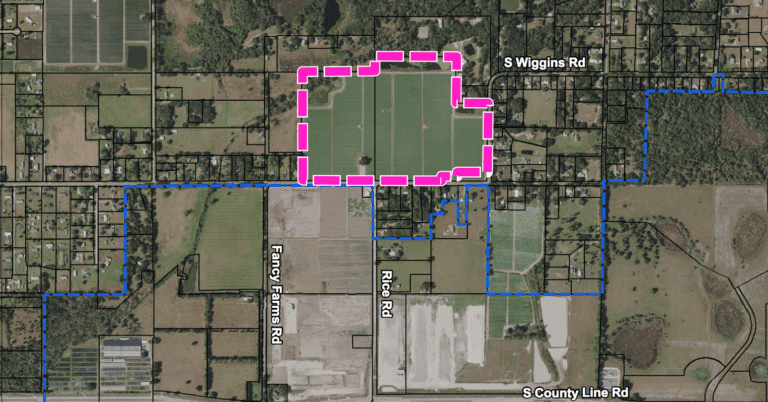 The current area is in active agricultural production and is zoned as an R-1 — residential one — and it is seeking to alter the land usage to industrial, which will allow the future development of a distribution warehouse if the owner sees fit. The land could have a maximum floor area ratio, non-residential development potential of up to 1,414,175 square feet of industrial uses. G&D Farms has approximately 600 acres of strawberries, with 125 acres being organic crops. The name was dedicated to owner Gary Wishnatzki’s grandfather, Harris Wishnatzki and his partner Daniel Nathel. Plant City Fire Rescue had no issue with the proposed development, nor did the Recreation & Parks Department or the Utilities Department. However, Ed Duncan, Chief of the Plant City Police Department, did voice his concern to Jay Collins, AICP and senior planner, in an email regarding the development. The proposed amendment does fit with the city’s comprehensive plan, so the vote next week at the public hearing will determine how G&D Farms moves forward with the development. The same evening, Jon Poppell was reappointed to the Plant City Housing Authority Board. His term was up on Dec. 31, 2018 and Mayor Rick Lott and the commissioners unanimously voted to approve his reappointment. Bruce Rodwell, Bonnie Carr and Douglas Driggers were reappointed as members of the Planning Board of the City of Plant City for a three year term. Bettye Goodwine and Judy Vogel were reappointed as members of the Board of Adjustment for a three year term. Harold Falls was reappointed as the City of Plant City’s representative to the Citizens Environmental Advisory Committee of the Environmental Protection Commission for a two year term. It was also pointed out that David Butcher, who serves as the representative for Plant City on the Hillsborough County Citizen’s Advisory Committee of the Metropolitan Planning Organization, will not be seeking reappointment when his term ends on Feb. 1. The city will soon be selecting a new representative to take his place. A public hearing will also be held on Jan. 28 regarding giving an Economic Development Ad Valorem Tax Exemption for Redrock Pavers, Inc. Florida allows local governments to grant said tax exemptions to qualifying new businesses with the successful passage of a referendum. Plant City voters approved the referendum in 2010 with 68 percent of voters for and 32 percent of voters against the exemption. Redrock has told the city it will employ a minimum of 70 new full time employees with an average annual wage of at least $58,383. It said it would also make a capital investment of at least $10,000,000 prior to the start of any exemption that would be granted under the program.